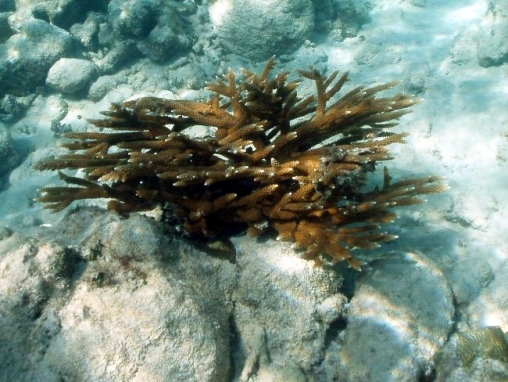 It has been confirmed by genetic studies that this this is a hybrid between the two other Atlantic Acropora species. It is retained here as a ‘species’ because of its distinctive forms. 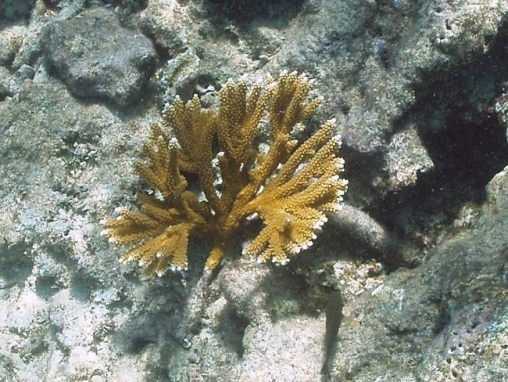 It generally has a more stocky appearance and more densely packed branches than Acropora cervicornis with which it could be mistaken. Branching tends to be in near-horizontal, sometimes almost fan shaped spreads, branchlets commonly developing towards the ends of branches. 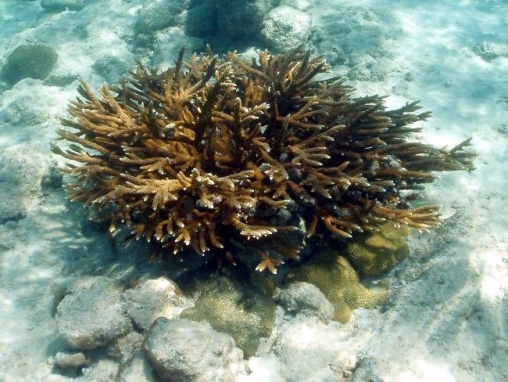 Found in shallow water, but is now uncommon. 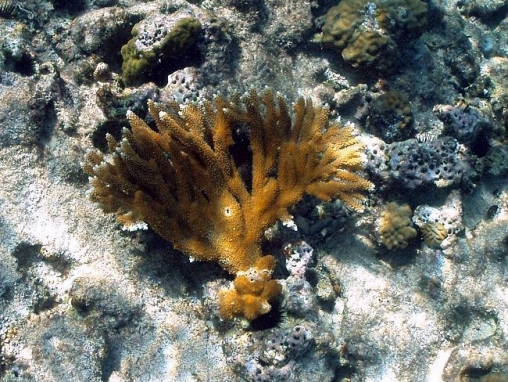 Living colonies are yellow, brown or golden in colour. 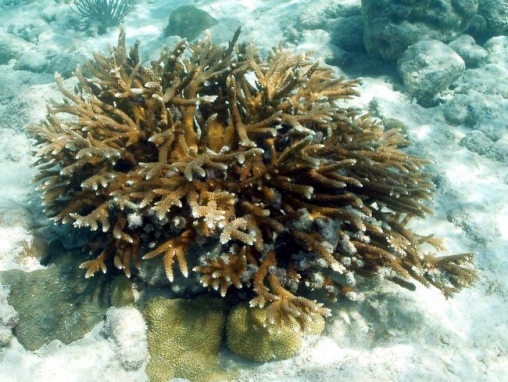 It is distributed throughout the Caribbean, from the Bahamas in the northern edge to Venezuela and Colombia in the south. 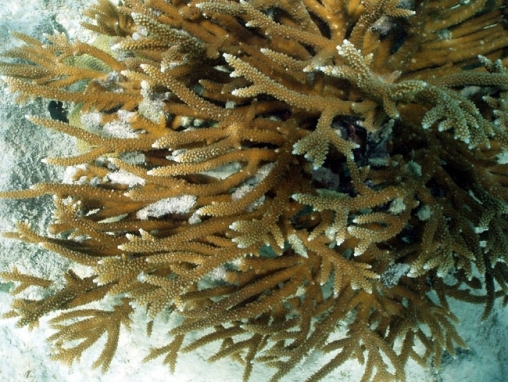 It has two main forms: bushy and palmate. 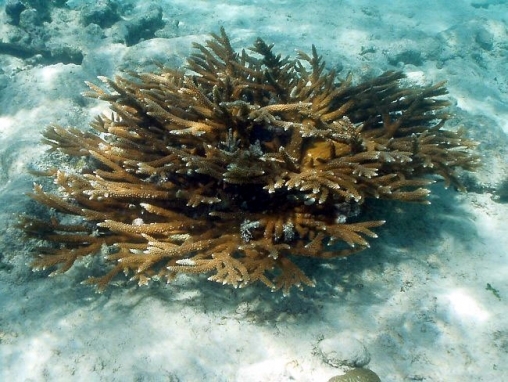 While both are F1 hybrids, the bushy form seems to arise when the maternal egg was A. palmata , and the palmate form arises when the maternal egg was A. cervicornis (Volmer & Palumbi 2002, Science vol 296:2023-2025). 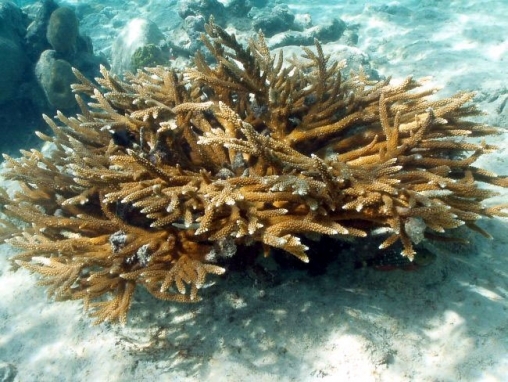 Caribbean Acropora are listed as Endangered under the US Endangered Species Act.